Black History Month in February will be commemorated by West Virginia Northern Community College with presentations on its three campuses by Pittsburgh historian Samuel W. Black, who will discuss the experiences of black men and women who found themselves in the Vietnam War during the civil rights movement. The special programs will be held as Lunch & Learn sessions from noon-1 p.m. on Feb. 7, Room 242, Weirton campus; Feb. 8, Student Union atop the Barnes & Noble bookstore, Wheeling campus; and Feb. 9, Room 110, New Martinsville campus. The events are free and open to the public. Those wishing to attend must RSVP to Student Activities Program Coordinator Ida Williams by Friday, Feb. 3, at either iwilliams@wvncc.edu or by calling 304-214-8917. Please specify attendance date and location with the RSVP. Free parking is available in the Barnes & Noble lot in Wheeling and in lots adjacent to the Weirton and New Martinsville campuses. This is a return visit by Black, director of African American Programs at the Heinz History Center in Pittsburgh, whose discussion of “From Slavery to Freedom” on all three campuses last year resulted in large, receptive audiences who engaged the speaker extensively during the question/answer period. Black’s appearances at WVNCC are made possible by a Diversity for Equity grant awarded through a joint program of the Higher Education Policy Commission and the Community and Technical College System. For the upcoming Black History celebration, Black will discuss his book, “Soul Soldiers: African Americans and the Vietnam Era.” This presentation also will feature a 15-minute mini-documentary film, “The Soul of Vietnam.” Based on the award-winning exhibition, Soul Soldiers was inspired by the service of black men and women who found themselves in Vietnam during the civil rights movement. The speaker will discuss ways that the war impacted the movement along with black families and communities, resulting in new perspectives on race relations. Black is the brother of a two-tour Vietnam veteran who died in 1971. The impact of his brother’s service and death was echoed in communities and families across America, he believes. The book and documentary were edited and produced by Black. At the Heinz History Center, located in Pittsburgh’s famed Strip District, he has curated: “Soul Soldiers: African Americans and the Vietnam Era” that traveled to seven cities and was the recipient of four awards, including the American Association for State and Local History Award of Merit and the Pennsylvania Federation of Museums and Cultural Organizations, S.K. Stevens Memorial Award. Other exhibits include, “America’s Best Weekly: A Century of the Pittsburgh Courier” and “From Slavery to Freedom” that received a U.S. Department of Education Underground Railroad Educational and Cultural Program grant, as well as the AASLH Award of Merit (2013), the African Diaspora World Tourism Cultural Exhibit Flame Keeper Award for dedicated service in cultural tourism (2013) and the PA Museums President’s Award and S.K. Stevens Award (2014). The speaker holds a degree in African American Studies from the University of Cincinnati and a graduate degree in Africana Studies from the State University of New York at Albany, where he was the recipient of the Perry Drake-Weston Award. He is president of the Association of African American Museums and recently served on the executive council and the advisory council of the Association for the Study of African American Life & History as well as the program committee of the American Alliance of Museums. 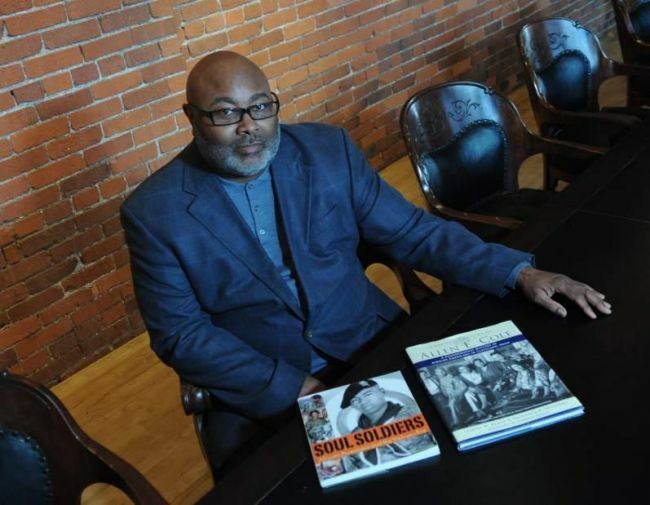 Black is a member of the Afro-American Historical & Genealogical Society of Pittsburgh and the former vice president of the ASALH Dr. Edna B. McKenzie Branch.